If you’ve ever read The Girls from Ames: A Story of Women and Friendship by Jeff Zaslow you’d understand our starting point of friendship. We are nine families, 31 kids. We are old friends. Several of us attended grade school together. Some of us were in one another’s weddings; some of us are godparents to each other’s children. Luckily, we all live within two hours of one another. Yesterday was a great day because our farm group had a “reunion” of sorts. The best – and most shocking part? We literally threw together our Sunday get together with only 5 days advance notice! Moreover, almost every single member of our “group” was able to get together. Why? We would move mountains to keep our farm connections going. The farm connection all began when our dear friend, Bill (and wife, Amy) purchased a farm in Wisconsin. Bill loves that place! He would tell us often about his farm, what plants he was growing, how he was building a cabin with his hands from a kit ordered from Canada, how he hunted periodically, how he got to know the adjacent farmers and had tremendous respect for their farm output. On occasion Bill would say, “you guys should visit.” We never did. Until 6 years ago September. My husband and three of our kids were going to be out of town so I asked Bill whether it might be fun if I came with my two youngest (aged 5 and 7) for a campout on the farm. We packed the car full, drove two hours to Bill’s farm, pitched our tents and let the fun begin. Fun for the kids? Everything. Fun for me was: walking in the woods, checking out Bill’s newly planted trees, learning about the glacial history of the area, hearing about sorghum grass he had been studying and subsequently planting, watching bird migratory patterns and so on. I love the outdoors so I was in heaven. Our kids love the outdoors – so they were in heaven. We sat out at night amidst a sky filled with stars and – as luck would have it – the evening was the perfect Fall temperature. AND…just like tonight as I write this, it was a full moon. Even better? 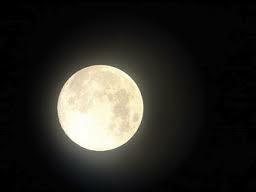 On that date: October 7, 2006 there was a Harvest Moon. It was also my youngest son’s birthday. To this day, that night was one of the most magical nights I have ever had in my life. Of course, I returned absolutely enamored of Bill’s farm and the memories just created for me and my two boys. The following Fall, Bill invited what is now our 9 family farm group to a Labor Day family campout. (I was relentless in selling the campout idea to many very suspect adults!) To make a long story short: thanks to Bill we now have an amazing tradition. Each year we unplug, enjoy the company of good friends, watch our children grow up, engage with nature, laugh, share stories, enjoy the night stars around the campfire and make memories that last a full year until the next Labor Day. Slowly Bill has educated us on his amazing stewardship of the land. For example: several years ago he planted fruit trees. Then just two years ago he thought the addition of bees to the farm might help his fruit trees – so he learned to keep bees. It is amazing for us and our children to connect with nature and literally see, touch, and feel the fruits of Bill’s labor through the farm. This year we each left the weekend with Bill’s a jar of Bill’s honey. But this past weekend at our totally last-minute get together I noticed a shift in the conversation – could it be because we all turn fifty next year? Several of the adults seemed to be interested in the continued adoption of healthy living. And happy living. And finding joy in the moment. And friendship. We recognized the subtle comfort each of our children had in reuniting with their “farm friends” and how they simply “pick up from where they left off” (Labor Day.) As the afternoon wore on and the crowd thinned out a few of us discussed the localvore movement (buying locally grown/created); we talked about supporting our local CSAs (community supported agriculture); we talked about Forks Over Knives, FoodMatters, T. Colin Campbell (one friend even said that her home-schooled children love to prepare meals out of the Engine 2 Diet cookbook!) Most of the friends have been impacted by cancer, usually through a parent’s death. We all care about being good people and simply trying our best to be kind to others. We talked about our respective struggles with our beloved Catholic church. We talked about a recent death of a grade school friend’s mother and the “Monday Lunch Bunch” that for four years straight arrived to her home with brown bag lunches, ate, and chatted by her bedside while she struggled with Alzheimer’s and Lou Gehrig’s. We agreed that we would be “Lunch Bunch Buddies” for one another when we grow old. So as we age..grab your farm team. Treasure time together. Stay healthy. And be Lunch Bunch buddies to one another.